Enjoy open studio style accommodation for 1-2 guests featuring a fully equipped kitchenette. Stylishly furnished with contemporary ease, our 34 sq. room is the ideal place to kick back while visiting Melbourne. From the desirable location of South Yarra, attend business meetings or see points of interest, coming back when needing to recharge. For your convenience, our studio rooms include laundry facilities enabling you to pack lighter and stay longer. Prepare your own meals in the modern kitchenette or enjoy carry out from a local cafe. 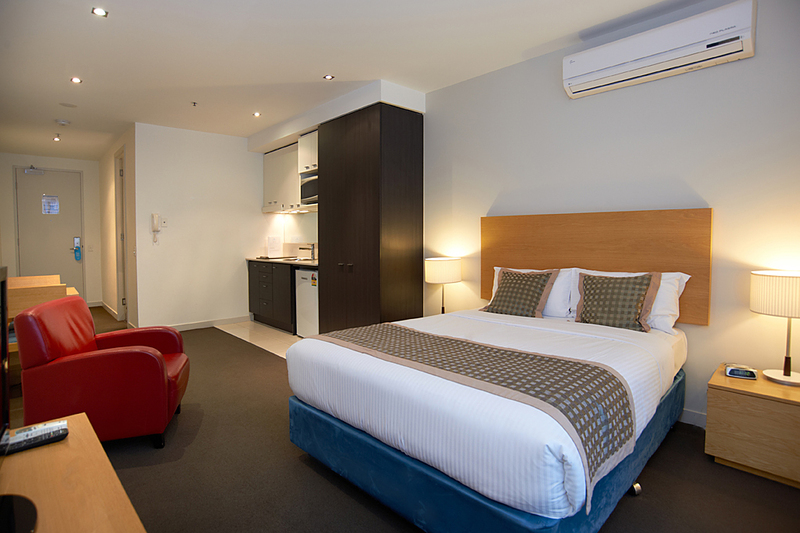 However you spend your time in Melbourne, you'll enjoy your stay with Amity Apartment Hotels. *Balconies are available in select rooms only.